St. Paul’s Church was built in 1889 to a design by Seddon and Gough. The Grade II* listed church now lies in the centre of one of London’s busiest traffic areas. Richard Griffiths Architects were appointed in 2005 to design a major extension to the church for flexible parish and community use, with Malcolm Fryer in the role of Design and Project Architect. Despite complex archaeological, listed building and planning constraints, it proved possible to construct a low lying building around a western ‘atrium’ in the early Christian tradition. The design reinterprets this atrium tradition in the modern sense, a covered space filled with light and air, acting as a focus for the communal use of the building. The atrium leads into the church through the original Baptistery. 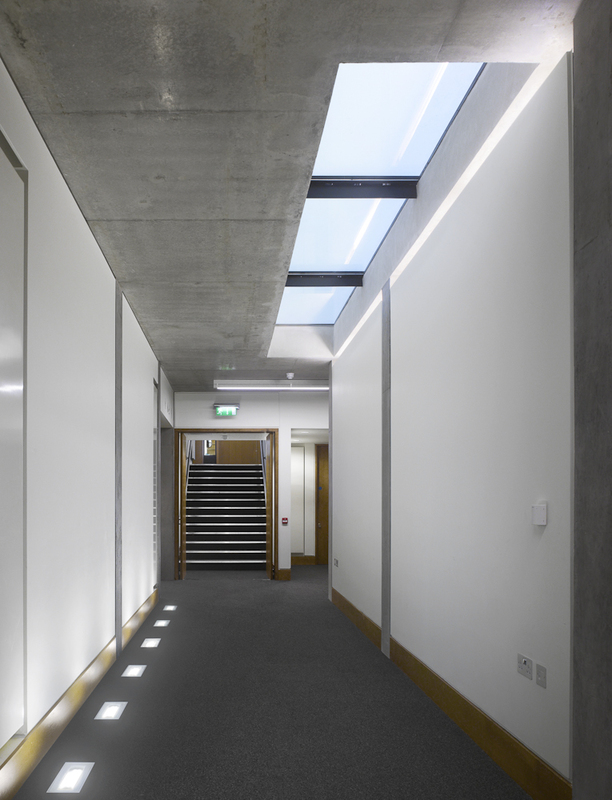 The atrium is flanked by reception and meeting spaces as well as a bookshop and café. On the upper floor, four large meeting rooms overlook the atrium with generous facilities for storage in each room. In the basement is a large auditorium, naturally lit from above through glazed floor elements. This involved the full excavation and recording of over 650 bodies. The axis of the nave is continued the full length of the new building under a roof canopy that oversails great cross-shaped west doors – the tallest in London – through which the whole length of the church can be seen by day and by night, when the internal lighting acts as a beacon to passing traffic. The new building has been described as an inverted cloister – both inward focused and outward looking. It has been designed with a concrete frame and high quality traditional finishes including Bath stone, English oak and York stone paving. Sustainable technologies applied include passive ventilation and geothermal heating systems. Richard Griffiths Architects / Malcolm Fryer also oversaw the major internal and external cleaning and repair works to the church. Malcolm Fryer continues in the role of Inspecting Architect for the Church. 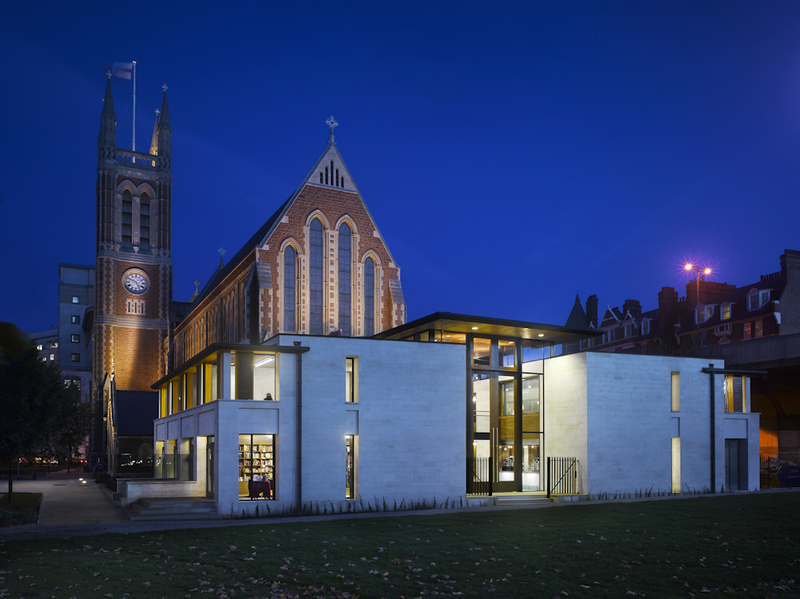 In 2012, the project was awarded a National RIBA award. Project Profile available for print and download here.